Thank you for purchasing Estato! We’re very pleased that you have chosen our plugin to extend your website. We’re doing our best not to disappoint you! Before you get started, please check out these documentation pages. Estato can only be used with WordPress and we assume that you already have it installed and ready to go. If you don’t, please see WordPress Codex to get started. When purchasing our theme from Themeforest, you need to download the Estato files from your Themeforest account. Navigate to downloads tab on Themeforest and find Estato. Below you’ll find a full list of what is included the .zip file, along with a brief description of each item. If Estato files are downloaded from your Themeforest account, you can start an installation using WordPress administration panel. Step 1 – Once you’ve logged in to your administration panel, go to My Sites > Network Admin. Step 2 – Then click on Themes > Add New, you will be directed to a page where you can choose available themes. Step 3 – Once directed to the page, on the upper left side of the screen click on Upload Theme button. Step 4 – Choose the estato-theme.zip file from your computer, then click Install Now. Step 5 – Click on My Sites then go to Appearance > Themes and Activate Estato. Step 6 – After activating Estato, you will be sent to Theme Installation Instruction steps. By following this steps you will be asked to install required plugins, activate them, import demo content (required) and install sample of WPL content. If you get the following question message when installing Estato.zip file via WordPress, it means that you have an upload file size limit. Install the theme via FTP or call your hosting company and ask them to increase the limit. After activating Estato you will also get the information about all of theplugins that you should or can install and activate for the full experience of the Theme. You can find this information on path Appearance > Theme Installation. Notice: Plugin must be installed and activated right after you install and activate the Estato – otherwise you might be encountered problems with correct theme functioning. Bundled Plugins are plugins that comes with the theme when you buy it. 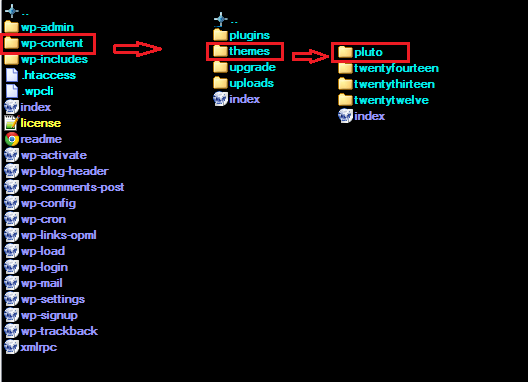 Since the plugins are bundled with the theme, updates for the plugins are provided once the theme itself is updated. When you update a theme and a plugin needs to be updated, you will see a notice at the top that a plugin could be updated. You can also check for updates in your Dashboard by navigating to Plugins > Installed Plugins. Step 1 – Update the theme first in the Dashboard by navigating to Appearance > Themes then update the theme. Step 2 – Once the theme is updated, check if there are available updates for the plugins. Step 3 – If there are updates available, you will see a notification on top of the page or go to Plugins > Installed Plugins and follow the instruction to install updates. Go to Appearance > Installed Plugins, refresh the page and try again. If it doesn’t work, try disabling/deleting the plugin, this is to ensure that there aren’t any issue with plugin’s update. Once disabled/deleted, try to re-run/install the plugin. If you still get the error message that the update package is not available, its probably because your server permissions are set to strict and you’ll need to alter your server settings or update the plugins via FTP. If issue still persist, click here for support. Automatic updates are done if the plugin is purchased separately from the plugin developer. There are premium features that you can get if you purchase the plugin from the developer. However, it’s not required to purchase the plugin for the theme to work since the plugins are bundled with the theme. Note : Only use the version of the plugin we provided with the theme to prevent any issues with your site, since it is the version that is tested with the theme. The fastest and easiest way to import our demo content is to use the Theme Options Demo Content Install. 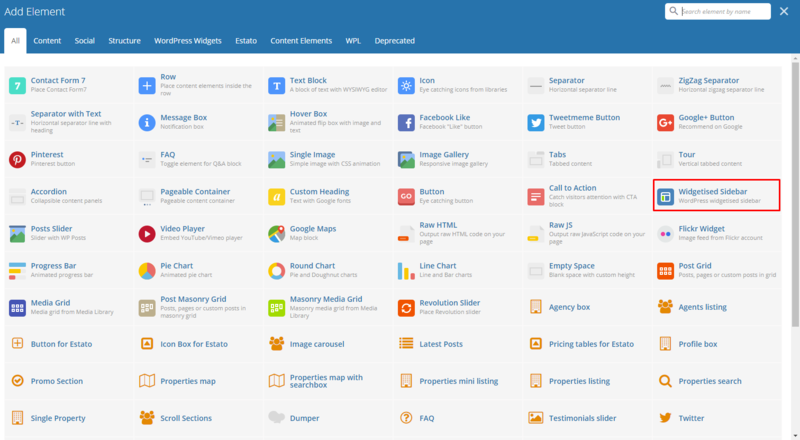 It will import all pages and posts, several sample sliders, widgets, theme options, assigned pages, and more. We recommend this approach on a newly installed WordPress. It will replace the content you currently have on your website. However, we create a backup of your current content in (Tools > Backup). You can restore the backup from there at any time in the future. Step 1 – Install and activate plugins listed in Theme Installation Instructions message. Step 2 – In Dashboard go to Unyson and make sure that Backup & Demo Content Extensions is activated. Step 3 – Navigate to Tools > Demo Content Install, where after activating the Unyson Extensions, Demo Content Install option will be available. Step 4 – Choose the import option you want to use from the available options. Step 5 – Wait until the content will be installed. Importing can take a few minutes. Please be patient and wait for it to complete. Once it will be loading, you will see message with indicating progress. Demo Properties Listing is not automatically added by the demo. Step 1 – Navigate your Dashboard to WPL > Settings and look for Sample Properties. Step 2 – Click on the Add Sample Properties button to add sample properties. Wait until download is finished. Step 3 – Once the loading icon is gone, the download is done. You will see the sample properties in WPL > Listing Management. All of our items comes with free support. Free support is limited to questions regarding the themes features or problems. We provide premium support for code customisation or third-party plugins. Help Desk – Click here to go to our support website. Just click on the Submit Ticket button and follow instructions to create a ticket. Forum – Comment/Post on the product you have issues/queries in ThemeForest or CodeCanyon websites. Step 2 – If your question hasn’t been brought up on the forum, please post a new topic. Always be as specific as possible. Creating a topic requires entering the live URL to your home page or page that shows the issue in question. It also has bars for WP and FTP login info, which aren’t required, however, providing us with your login information can save a lot of time for both of us. Login credentials are securely stored and accessible only by our support staff. Step 3 – We usually answer questions in 24 hours on working days. However, if you don’t get any answer within 72 hours bump up your question or send us an e-mail. For all support methods, you will receive confirmations and replies on your queries through e-mail or by tracking your ticket which you will also get through e-mail. To track your ticket, please click here. Once we reply to your query, each ticket will be open for 7 days without a reply from you. On the 6th day without a reply, an e-mail will be sent to notify you of the ticket’s inactivity. To make the ticket active again, you simply need to reply or follow the steps in the e-mail. If you won’t make the ticket active within 7 days, on the 8th day the ticket will automatically be closed. You can use Pages to organize and manage any content on your website. You can create multiple pages on your website for different types of content or setup onepager with scroll-to-section menu. Step 1 – In Dashboard, navigate to Pages > Add New. You will be directed to a page where you can add details on the page. Step 2 – Add the Title of the page. Step 3 – Add content – we recommend you to create page content using Visual Composer or by modifying demo content. Step 4 – Choose page attributes. Parent – If you want to create this page as a subpage. Order – The order of the page. Step 5 – After adding all the contents of the page, click on the Publish button. When using Visual Composer to add content, you have 2 Editor options, the Backend Editor and Frontend Editor. Elements – You will be able to choose elements that are needed and used on the page. Text Block – This is where you add Text to the page. Template – Use a premade template for the layout of the page. Row – An area where you can add elements. Estato has the ability to make a One Page site with a scrolling to sections menu. Most sites are traditionally setup with individual pages, each page with its own content. One page site allows you to put all the content on one page, and the menu items will link to each different section of the page. Think of it as a full site but all in one page. Please read below for information on how to set this up. Step 1 – Navigate to the Pages section of your Dashboard and click Add New. Step 2 – In the new page, use the Backend or Frontend editor to create a row. Step 3 – Use the row in making sections in the section menu. Click on the Edit this row option in every row section you create and look for Row ID. The Row ID will serve as the anchor of the menu. Make sure that the ID is unique to that row. Step 4 – You can change the General and Design Options as you see fit for your site. Step 5 – Add the contents in the rows. You can add Text and Elements inside the rows. Click on Publish button to save. You can see in the sample above that each row has different Row IDs. 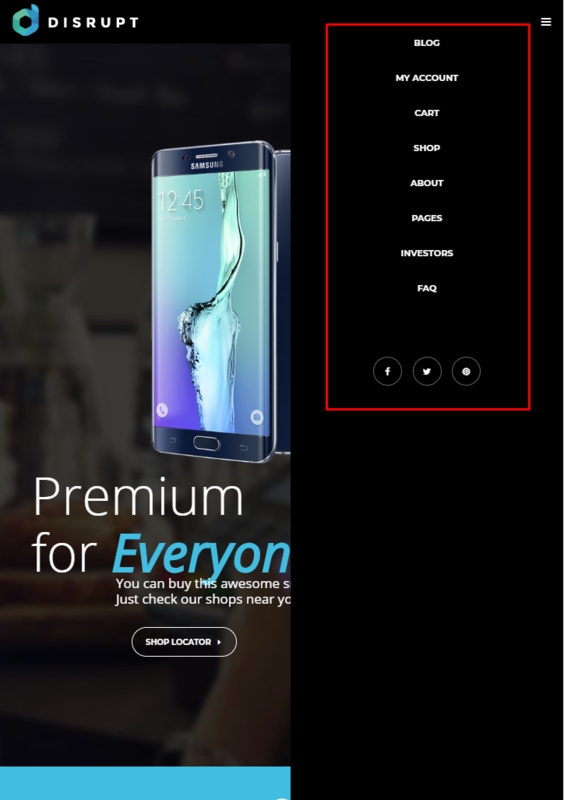 Step 6 – Set this page as the Front Page by navigating to Settings > Reading > Front page display. Click on A static page option then select the page for the onepager then click on the Save Changes button. Step 7 – To make the Menu for the Onepager, navigate in the Dashboard Appearance > Menus. 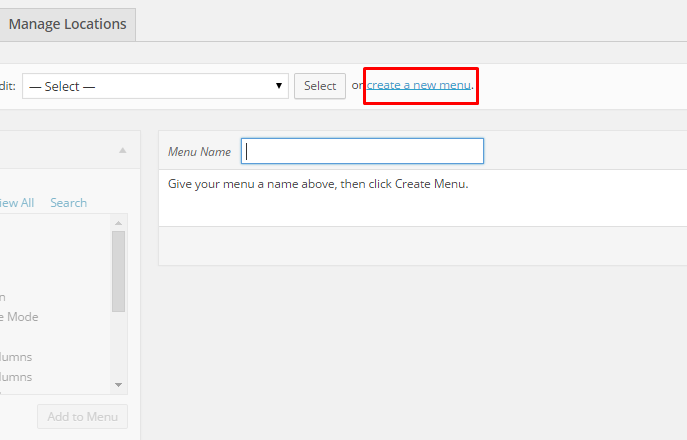 Look for create a new menu, add the Menu Name then click on the Create Menu button. Step 8 – You will see options on what to put inside your new menu. Look for Custom Links in the options. If you don’t see that option, at the upper-right side of the page you will see Screen Options option, click on that and you will see options with check boxes. Check the box beside Custom Links. Step 9 – Using the Custom Links option, write the row section’s Row ID inside the URL textbox and the name of the link inside the Link Text textbox. Then Click on the Add to Menu button. After adding all the navigation menu, Click on Save Menu to save. 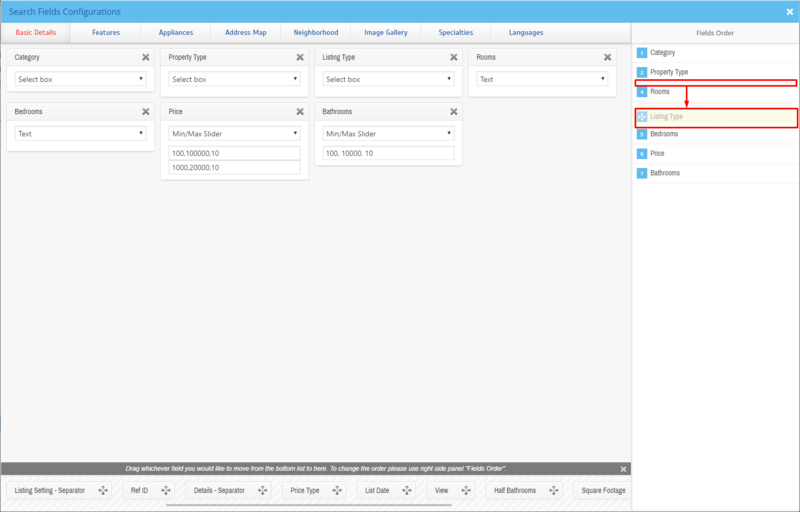 Step 10 – Click on the Manage Locations option, change the Main menu to the menu that was made for the onepager. Click on the Save Changes to save. Step 11 – Go back to the Edit Menu option, Look for the Max Mega Menu Settings then check on Enable and change Theme option to EstatoStyle Onepager. Change other options as you see fit then click the Save Menu button. You can see the changes on the Front Page of the site. This theme comes with VC element that give you the option to create buttons that can be used in the theme. Number of icons – you can set here number of icons visible in row (1, 2, 3, 4). We recommend to use one Pricing table for Estato element in single row to get the best effect using this element. Title – Set the title for this Icon Box. Title – Title for the icon inside the Icon Box. Icon – Choose an Icon to present. Description – Description of the icon. For sample in creating Icon Box, see “Create Sample Icon Box” below. Title – Title for the Image Carousel in the page. Display navigation – Check Yes to show the navigation of the carousel. Pagination – Check Yes pagination to show it. Autoplay – Check Yes to make the carousel move automatically. Images – Add images to be shown in the carousel from the Media Library or Upload Files from your computer. Remember to Publish/Update the changes on the page to save them. Title – Title for the posts. Limit – Number of blog posts inside the Latest Posts. Order – How the posts order looks. Order by – How the posts are ordered. Background color – Set the background color of the Promo Section. Image – Image for the promo. Promo text – Describing the promo. Promo text color – Text color of the Promo Text. For sample in creating Promo Section, see “Create Sample Promo Section” below. Title – Set the title visible above the pricing tables. Number of tables – You can set the number of tables visible in row (1, 2, 3, 4). We recommend to use one Pricing tables for Estato element in single row to get the best effect using this element. Title – Title of the pricing listed. Value – Value of the pricing listed. Subvalue – Another value to compare with the value of the listing. Tag – A tag to make it unique. Features – Descriptions and features of the item listed. Button enabled – check Yes to show button. Button title – Title of the button inside the listing. Button link – Where the button is linked. Button size – Button attribute. 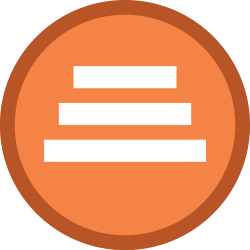 Button style – Button attribute. Transparent Estato style for button? – Check Yes option if you want the transparent style. Custom CSS class for button – Set your custom class to style the button. cache results for X seconds – cache Twitter feeds for better performance. The information how to generate twitter keys and tokens can be found here. For sample in creating Twitter Section with Background, see “Create Sample Twitter Section with Background Image” below. This element will let you create a page menu to let the user move between the section page. The only option available in Scroll Sections Settings is Section names that will let you create menu links for custom sections. This element is used on Terms & Conditions page of Estato WP theme. For sample in creating Scroll Sections, see “Create Sample Scroll Sections” below. FAQ element will let you show all the created FAQs Items on the site. This version of FAQ doesn’t have a menu like the one created via Customise options, but it will let you add other contents on the same site unlike the customise one. Testimonial slider will gives you an option to show people Testimonial Items that are made on your site. Style of slider – This would depend on the style/color of the background of this slider. Additional title – Check Yes if you want to display title. Title – Title of the slider. Order – The order in which the testimonials are shown.⦁ Order – The order in which the testimonials are shown. Order by – The order of the testimonial that are shown. Limit – Number of testimonials shown. For sample in creating Testimonial slider on a page, see “Create Sample Testimonial slider” below. This element have a single tab with options to customise the way the agency box will be shown. This element lets you show all the information and the logo used by the Agency. – Agent ID – it can be checked in WPL in User Manager section by navigating to: WPL > User Manager . Copy one of the WPL’s user Id to the Agency box Settings. This element have two tabs with options to customise the way how the multiple profiles of the agents will be visible on the site. Order by – Set the order of the agents. Order – Set how the order of the agents are shown. This element will let you show all the information about the WPL User chosen by its ID. Profile Box have two available options to customise this element. – Default profile id – it can be checked in WPL in User Manager section by navigating to: WPL > User Manager . Copy one of the WPL’s user Id to the Agency box Settings. Custom map Style – Use one of custom maps styles available on Snazzy Maps site (this option is not compatible with Map Type control). Custom map height – Enter map height (in pixels or leave empty for responsive map). Zoom value – Set custom zoom value, eg. 10. Please note the map will automatically expand to show all markers. Use custom markers for this map – choose between Yes/No. This way you can add your own custom markers from Media library. Another way to add your custom markers is via Realtyna. This markers can be added on path WPL > Data structure > Listing Types. You will be able to add there your own markers and assing them to Listing type. 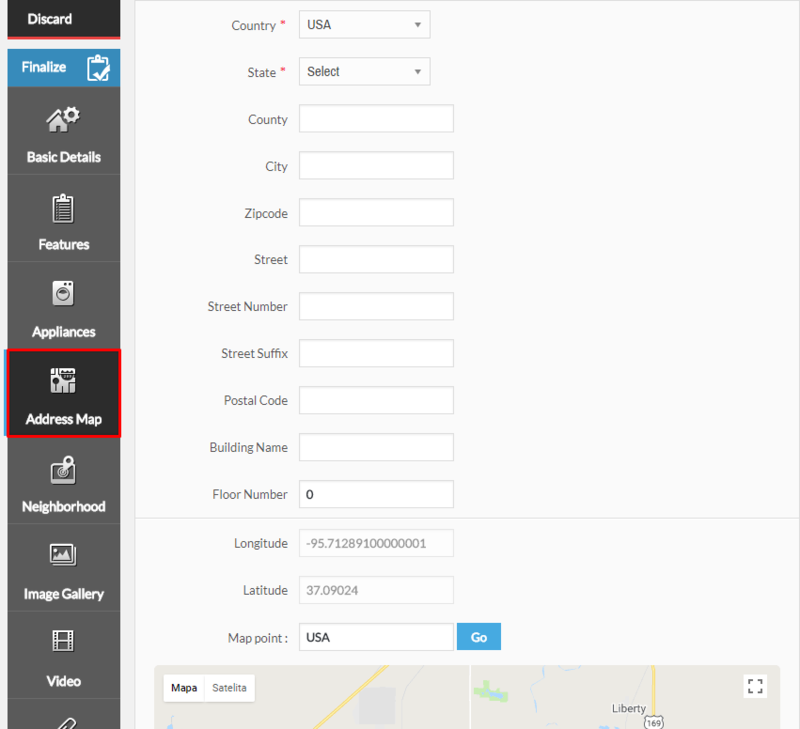 By Properties map element you will display a map with markers showing all of the estate locations. The information of the location can be added on path WPL > Add Listing > Address Map by changing location of the marker. You can also edit the location of already existing property by going to WPL > Listing Manager > Edit > Address Map. This element gives the option to show a mini list of properties created in WPL plugin on path WPL > Listing Manager.This element have 4 tabs with options to customise how the list of the properties will be shown. View more text – Add text that’s for View more. View more link – Add link that’s for View more. CSS class – Add custom CSS class you want to use to style this element. Agent id – the id of the agent assigned. Order by – Gives you option on the order of the listing. Order – Gives you the option on how the listing is shown. Number of properties – Set number of properties visible on a single page. Link – Set a link for the button. 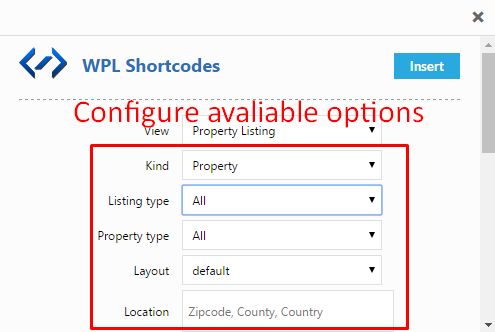 This element gives the option to show list of properties created in WPL plugin on path WPL > Listing Manager. This element have 3 tabs with options to customise how the list of the properties will be shown. Title – Set title for the list. Number of properties – set the number of properties visible on a single page. With the use of this element on your site, you will be able to search for estates available on your site. Below you will find information how to customise this elements. This element isn’t customisable via Visual composer, all the changes to this element can be added by WPL. For more information on How to Customize the Searchbox, click here. Step 1 – Create a row section. Step 2 – Click on Edit Row option, in the Design Options Tab add the background image from the Media Library. Step 3 – Add Icon Box for Estato element inside the row created using the Add Element option. Step 4 – Set the elements options as you wish. Step 5 – Once satisfied with the result, click on Publish button to save. Step 1 – Create a row section. Click on the Edit Row option, the Row Settings will pop-up. In the General Tab change the Row stretch to Stretch row and content. Step 2 – Add Promo Section element inside the row created. Step 3 – Set the options as you like. Step 4 – Once satisfied with the result, click on Publish button to save. Step 1 – Create a row section then click on the Edit row option. Step 2 – In the Design Options tab of the Row Settings, add the background image from the Media Library or Upload an image. Step 3 – Add Twitter Element to the row and set options as needed. Step 1 – Add row to your page and change the Row Layout to 1/4 + 3/4. This way you will be able to add Scroll Section and the content to different columns and set them next to each other. Step 2 – Add any content you want to the columns on the right. Step 4 – Add Scroll Section Settings item to the columns on the right and for the Section names use the same names as the one used for the Row’s id. Remember: to make this element work correctly you must copy the exact same names as used in the ID and add them in the same order as they are set in the right section. Step 1 – Create a row section, then click on the Edit row option. 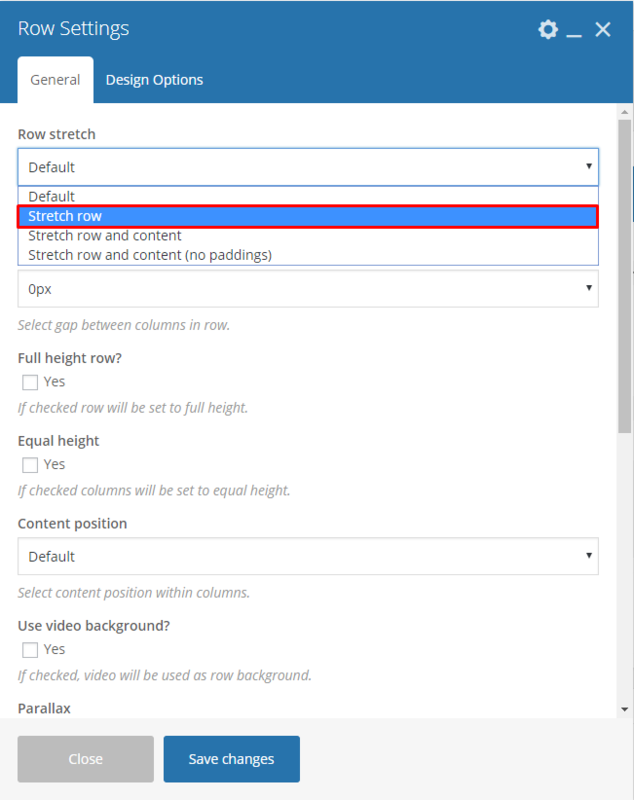 Step 2 – In the General tab, set the Row stretch option to Stretch row and content. Step 4 – Add Testimonial slider element inside the row created. Set the options as you like. Single Listing Page Sample before changing the size. Step 1 – In your Dashboard, navigate to WPL > Activity Manager. You will be directed to the Activity Manager page. Step 2 – In the Activity Manager page, you will see the all the activity created. Look for the Gallery of the listing, then click on the edit button. Step 3 – The Modify Activity will pop-up. Change the option of Resize to Yes. Change the Image width & Image height as you prefer. Note: Resize must be set to Yes for the image to change its size. Step 4 – Once the changes are done, click on the Save button. Estato is loaded with options for the blog. It offers many different options for you to present your blog posts, along with several different blog post layouts. In addition, there are numerous theme options and shortcode options that allow you to customize how posts are displayed. Step 1 – Navigate to Blog Posts > Add New on the Dashboard. Step 2 – Create a title and insert your post content in the editing field. You can use any of our shortcode elements inside the post. If you want to use some additional fields, choose them from Screen Options at the top of the screen. Step 3 – Add Blog Categories on the right side. Categories are meant for broad grouping of your posts, think of these as general topics. Categories are hierarchical, so you can add sub-categories. Sub-categories are made when a Category is added to a Parent Category . To assign it to the post, check the box next to the Category name. Step 4 – To add Tags, write the Tags at the textbox below the Blog Categories. Tags are meant to describe specific details of your posts. They are the micro-data that you can use to micro-categorize your content. Tags are not hierarchical. Type the name of the tag in the field, separate multiple tags with commas. To add more than one image, use Image Gallery (Visual Composer element) , each image will be a slide in the gallery slideshow. Gallery can be created by adding images from Media gallery or by adding External links of the images that will be used. Step 6 – To post video, use Video Player (Visual Composer element) and paste the direct video URL from Youtube, Vimeo or Dailymotion and more. Step 7 – to post audio, use Video Player (Visual Composer element) and paste the direct audio URL from Soundcloud, Mixcloud and more. Step 10 – Create an excerpt – Excerpts are optional hand-crafted summaries of your content that can be used in your theme. Learn more about manual excerpts. Step 11 – Once finished, click Publish to save the post. Display blog sidebar – Check Yes if you want to display sidebar with widgets on blog page. 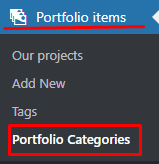 Portfolio Categories (optional) – assign to already existing category or add new one. After every modification click on Update to keep your changes saved. Categories are very convenient way to organize your porfolio items, that can be added to more than just one category. Step 1 – Create new page, then add row using the Visual Composer. Step 2 – Click on Edit this row icon in the row created, then the Row Settings will pop-up. Under General tab, change the Row stretch to Stretch row and content. Step 3 – After, click on Design Options tab, where set padding and border values for this element can be changed and add Background image (optional). Step 4 – Click on the Add Element icon at the center of the row created. Add a Text Block inside the row, the Text Block Setting will pop-up. Add a Post Masonry Grid inside the same row from Add Elements, the Post Masonry Grid Setting will pop-up. Step 7 – Change the following information in Post Masonry Grid Setting. To create a Testimonial go to Testimonials > Add New, where you will be able to create a new Testimonials item. After adding all of the information to the Testimonials item, remember to click on the Publish button. Note: All information that has an (*) is required. Step 1 – To start creating this element, please go to WPL > Add listing in your WordPress Dashboard. The page Add/Edit Property will show. Step 2 – In the Basic Details tab, add the information about the new property that will be useful and important. Information like Meta description and Meta keywords will be added automatically. Step 3 – In the Features tab, add the property features. Step 4 – In the Appliances tab, specify all appliances that are available in the property. Step 5 – In the Address Map tab, add the property’s address that will be shown on the map. Step 6 – The Neighbourhood tab is where you can add information about the important landmarks in the property’s neighbourhood. Step 7 – You can add images of the property in the Image Gallery tab. Add details about the image that is added for the property. Step 8 – If you wish to attach a video or file, go to Video and Attachments tabs. You can also select options from the Specialties tab. Step 9 – After all the information are added click on Finalize, so all the changes will be saved. In the Listing Manager, you can Edit, Publish, Delete Temporarily, Restore, and Delete Permanently a Property Listing. 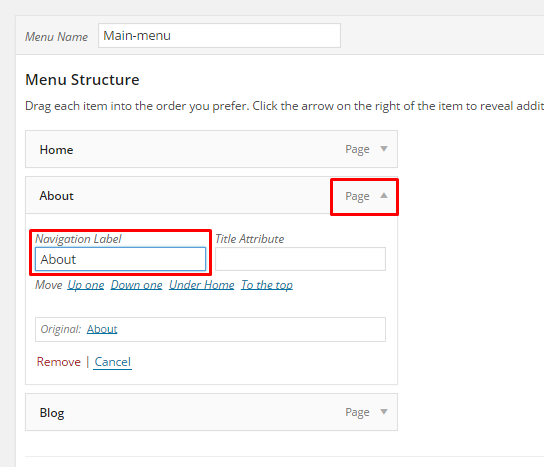 Step 1 – Navigate to WPL > Listing Manager in your WordPress Dashboard. The page Property Manager will show. Step 2 – Choose the Property Listing that you would like to change the information and click the Edit button. Step 3 – The Add/Edit Property page will show. You can Edit the information that you want to change. After changing all the information, click Finalize to save. The Published button is to change a status of a listing from Unpublished to Published. The Trash button can change a listings status to Unpublished and store it in a Recycle Bin like state where you have the option to Restore the said listing. The Purge button can delete the listing permanently. Head section title – Title to display in head section. Displays infos – Displays the information about the Images/Video if there is any. Property pages created via Estato will give you options to show a page containing all the needed information about your property. The Property page visible on Estato demo, can be divided into two Estato elements Single Property and Property mini listing. Here we will concentrate on all the needed information and what options to be set to receive the same look on the page. 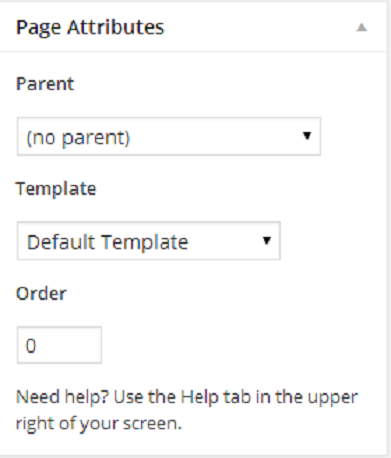 Step 1 – Go to Pages > Add New and create a new page, make sure that the Template you are using is Default Template, or use already created page that is using the same Template. Step 2 – Create a row section in the page, then add a Single Property element inside the row. Step 3 – Click on the Edit Single Property option and the Single Property Settings will pop-up. Step 4 – In the Single Property Settings, set the Listing ID of the property that will be shown in the page and set the Property template to Full width map. To find the Listing ID, click here. Step 5 – Create a second row, click on the Edit this row option on the 2nd row created. In the General tab, change the Row Stretch to Stretch row. Step 7 – Add a Properties mini listing element inside the 2nd row. 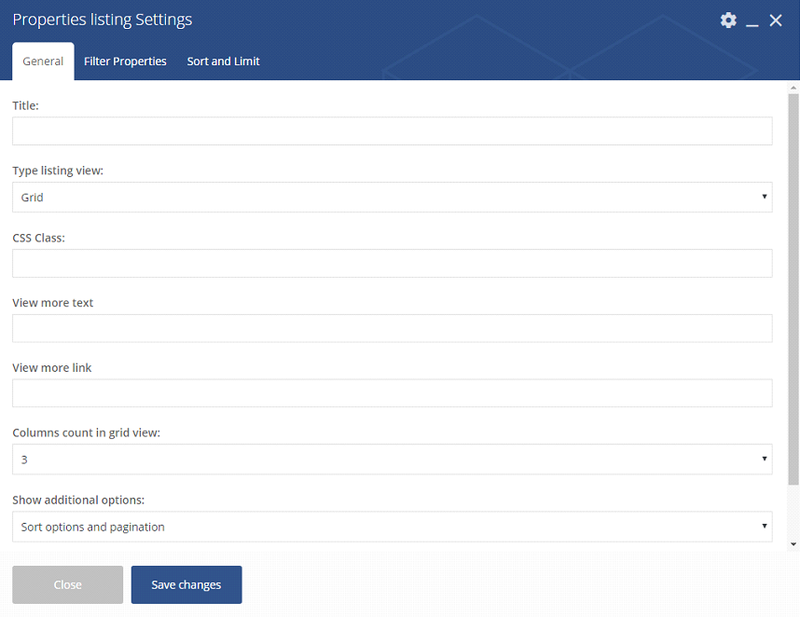 The Properties mini listing Settings will pop-up. In the General tab, set the Template to Latest listing transparent. A Title can also be added in this element option where it is visible on the site. Step 8 – After doing the steps, click on Publish button to save the page. The Listing ID that can be used to locate a Property Listing is found in WPL > Listing Manager where you can find the list of all the properties added to the WPL. Choose the Property Listing that you want to show and click the Edit button. The Add/Edit Property page will show. In the Add/Edit Property page you will find Listing ID in the Basic Details tab. Step 1 – Create new page by navigating to Pages > Add New. Step 2 – Create row then change Custom Layout of the row to 1/2 + 1/2. Step 3 – In the left side row, add a Properties Search element. Step 4 – In the same row, add a Properties Listing element. The Properties listing Settings will pop-up. Step 5 – In the Properties listing Settings, set the Type listing view to List and add a Title for the list, then click Save changes button to save. Step 6 – Now on the right side row, add a Properties map element. The Properties map Settings will pop-up. Step 7 – In the Properties map Settings, you can change the details inside the settings. In the Icon tab you have the option to change the icon for the Map marker. Step 8 – Once steps are done, click Publish to save the page. On Agent page you can show information about one of your property agents and all estates attached to them with the use of single WPL shortcode. By default, WordPress users are not WPL users. This provides you better managerial supervision for distinguishing between the agents and the basic users such as subscribers, authors, etc. You can activate users in WPL simply by going to WPL > User Manager and then clicking on the “Tick” or “Plus” icon. For specifying user access and limits you should click on the “Edit” icon, change the settings and save it. If you don’t know how to create a new WP user account please check this link. Each agent have their own profile page and they can edit the information to be shown on the “Agent Activities” or “Listing Details” page. Uploading a profile picture and company logo is highly recommended so it is good to request that your agents upload their pictures. Do not forget to click on the finalize button after filling the profile page. 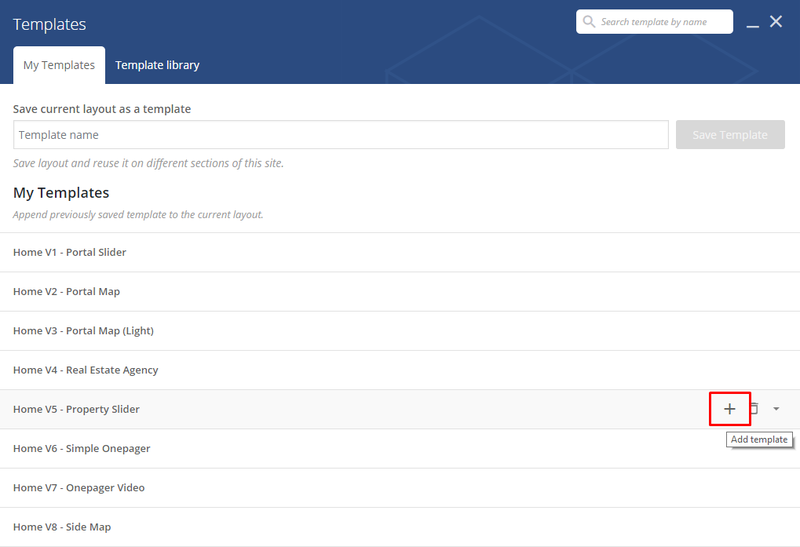 If you are not interested in downloading the whole content via Unyson demo import, but still want to use some of the pages from the demo you can use the VisualComposer Templates option. Go to Visual Composer Backend Editor and choose Templates option. The Template content will be added to the page. Now you can click Publish and it’s done! Or you can start editing content of your page. Step 3 – From the right side choose pages that you want to add to your menu and click on Add to Menu. Once menu items are added, you can reorder or nest them via drag and drop tool. Remember to click Save Menu when you finish to keep your changes saved. Step 6 – Check your menu as Main menu to set one of available location. Menus can be also shown in widgets section of Dashboard. After creating the menu you want to use, go to Appearance > Widgets and set the menu on your site using Custom Menu widget like in the example below. Frequently Asked Questions (FAQ) of Estato is generated by the theme from Faq items. This type of page can be created by going to Appearance > Customize > Faq and adding there the slug and title the page will use. Frequently Asked Questions (FAQ) of Estato is generated by the theme from FAQ items. To create a new FAQ item, navigate in WordPress dashboard to FAQ > Add New. Title – The FAQ’s question should be written as the title. Editor container – where the answers for the question is added. FAQ Categories (optional) – assign to preexisting category or add a new one. Once done, click on Publish button. 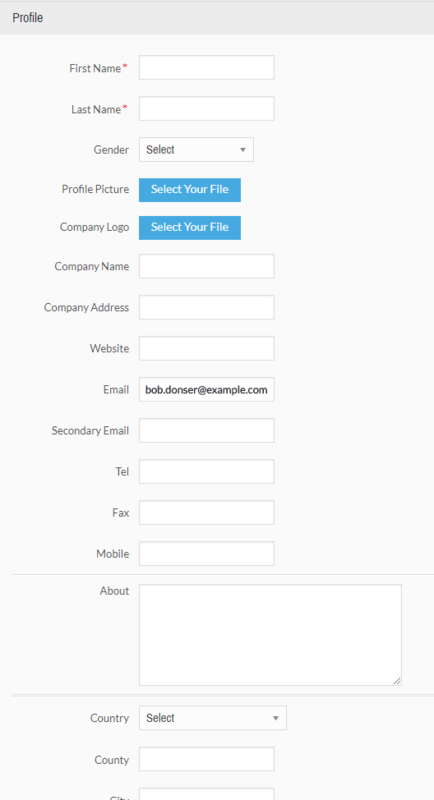 Contact forms in Estato are created with the use of Contact Form 7 Plugin. Below you will find information how to recreate Contact forms used in our theme by adding the correct markup for the Form section of this plugin. If you never before used this plugin I suggest you to check Getting Started with ContactForm 7. This is a contatc form that will let you recived e-mails from user that want to Subscribe your site. To display this contact form on a map, you need to create two Rows Like on the image below. Cut property descriptions after x character – The limit for the number of characters used in the description for a property. – Searchbox – option that will allow you to set the searchbox. Step 1 – Navigate in Dashboard to Appearance > Theme Settings > Searchbox tab. Step 2 – Click the View Fields buttton, the Search Fields Configurations will pop-up. Step 3 – Here you will see all the fields that will be visible in the Searchbox. Remove already added fields – Click on the X button on top of the field that you want to remove. Add new one – Click on the tabs on top to choose the categories of fields you want to add. You can see the fields at the bottom. Drag the field that you want and drop it at the center. Choose type of data – The data type of what the field will use to search. Add range of the data – This could be used if the data type option is numerical. Setting the range in number. Step 5 – You have the option to change the order of the fields at the right side by drag and drop. All the changes you will make will be saved automatically. In General you can turn off/on preloader on the site, check onepager option if you want to have onepager site (more info about onepager site HERE). In Static Front Page content tab you can define which of the created Pages will be used as a site Home page and which page will be used as a Blog page (avaliable for static page option). A static page – Home page and Blog index page will be chosen from list of static pages. Background image – set background image for footer. Here you will find information how to create contact form visible on this site. WPL (WordPress Property Listing) is a great plugin for real estate agents and agencies. It is the most feature-rich, flexible, scalable and extendable WordPress plugin for creating Real Estate websites / portals. 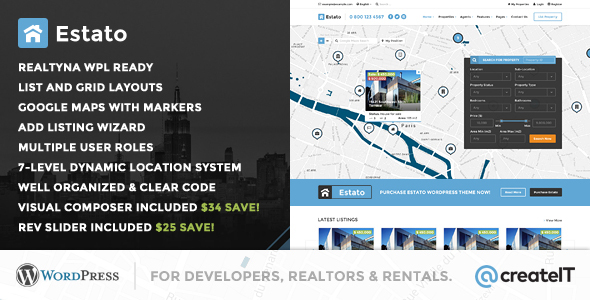 Estato comes with the Realtyna WPL Basic version but the theme is also fully compatible with the WPL Pro version. HERE you can check all the differences betwen WPL Basic and WPL PRO version to decide if you want to use the bundled version or rather buy the Pro version of the plugin. WPL is one of the requested to insall plugin and it should be installed after you install and activate the Estato – otherwise you might be encountered problems with correct theme functioning. After it installation this plugin will be automatically activated. If you are using multisite or you are having blog on your site and want to reset the site you won’t be able to correctly activate WPL plugin then. To use the plugin again you will need to reinstall the plugin, to do so please go to the plugins folder in your WordPress and remove the plugin folder from there. After doing that you will be able to install and use this plugin again. How does the WPL shortcode wizard work? This wizard can generate Property Listing, Property show (single property page), Profile/Agent Listing, Profile/Agent Show, My Profile and the Widget Shortcode (PRO members). You can select one of these shortcodes using the “View” option. Each Shortcode (“View” option) has its own configuration form. You can set the configuration form if needed and click on “insert” to see the generated shortcode into your post/page content. Property Show allows you to add property to your site page. Profile/Agent Show is used to display the profile of a specific user/agent. Select Profile/Agent Show from the View drop down. Set up layout by selecting option from Layout drop down. On the next step choose user you would like to add to the page. My Profile is used to display the profile form of a user/agent in frontend. Select My Profile from the View drop down. Click Insert button. In order to change profile information, open WPL > My Profile page in your WordPress admin panel. Here you can change agent name, upload photo, change contact details. 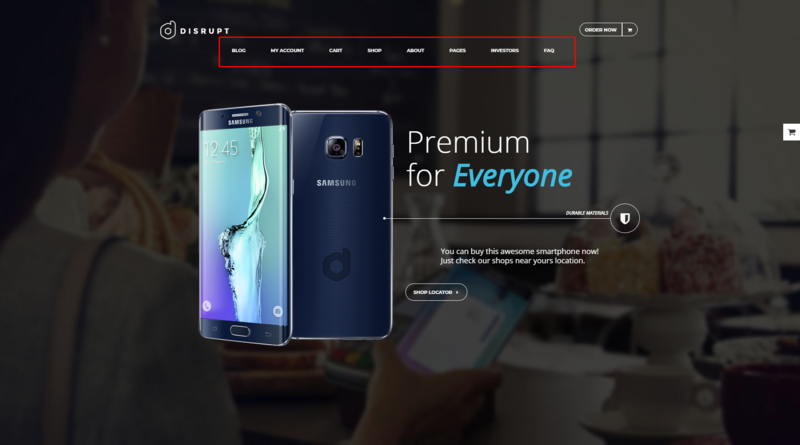 While widget areas typically occur in webpage sidebars, a theme can place widget areas in many places on a page. For example, besides the usual sidebar locations, the Estato theme has a widget area in the footer of every page. The content of the sidebars will depend on what widgets are added to that said sidebar. You can add by dragging a widget inside the sidebar to which you want that widget to show. To add a widget on other areas on the page other than the sidebars, you can use the Wigetised Sidebar element. Just set the type of sidebar you would like to show. Some functionalities of the Estato are available because of plugins we used to create it. Once Estato is activated in your WordPress admin panel you should see notification about bundled plugins we recommend to install – they are included in Estato package – so you don’t have to do anything more than click install and activate. We can’t guarantee Estato’s compatibility with third party plugins. If you want to avoid unexpected bugs and errors use as little plugins as possible. Below you will find the list of plugins we recommend you to use with Estato. REMEMBER: Plugin must be installed and activated right after you install and activate the Estato WP – otherwise you might be encountered problems with correct theme functioning. 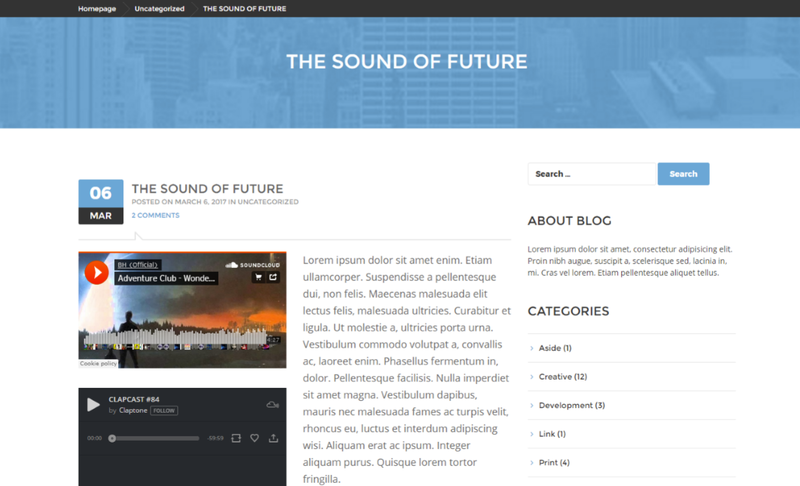 Unyson is a framework for WordPress that facilitates development of a theme. 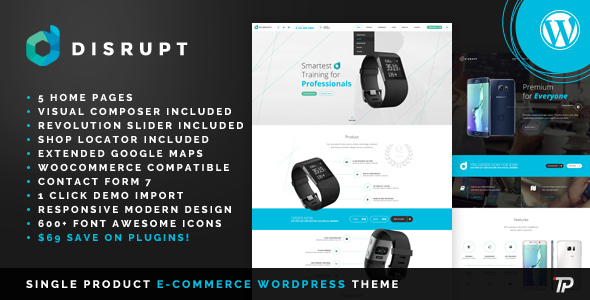 This framework was created from the ground up by the team behind ThemeFuse from the desire to empower developers to build outstanding WordPress themes fast and easy. This documentation is heavily modified by createIT to ensure all custom extensions are well documented. Unyson is included in Estato package – so you don’t have to do anything more than click install and activate. REMEMBER: Plugin must be installed and activated right after you install and activate the Estato – otherwise you might be encountered problems with correct theme functioning. Estato can be easily customized with Visual Composer. Column gap – Gap between columns. Full height row – If checked Yes, row will be set to full height. Equal height – If checked Yes, column height will be equal to the longest column height. Content position – the position of the content can be set to Default, Top, Middle and Bottom. Use Video Background – If checked, video will be used as row background. Parallax – Use Parallax as a background. CSS Animation – How the content of the row is animated. Row ID – If you want to use section for scroll-to-section navigation. Disable row – If checked, the row won’t be visible on the public side of your website. Extra class name – Add extra class name for the row. – Design Option – How the row would look/designed. 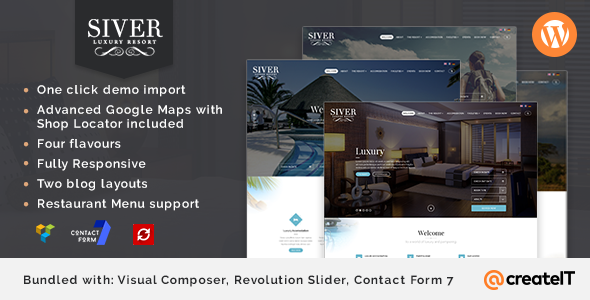 Revolution Slider is included in Estato package – so you don’t have to do anything more than click install and activate. Information hot to create custom Slider can be find in Plugin Documentation. How to update the plugin when it was packaged with your theme? Estato navigation menu can be built with Max Mega Menu plugin, which allows you to create expanded Mega Menu. 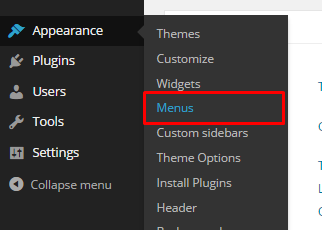 Once plugin is activated, you can go to the Appearance > Menus > Create a New Menu or used one created before. The basic setup for Max Mega Menu has been completed!! If you are looking for more information about using Max Mega Menu plugin please go to the official Max Mega Menu Documentation site. Each of our Themes could be translated by using translation editor like: Poedit. To translate the theme, it will need a POT (Portable Object Template) file to work. POT is generated from theme files and contain all phrases from the theme that can be translated to a different language. *In Estato WP the file is called estato-theme.pot and the path to it is estato > language instead. The translation editor will create PO (Portable Object) and MO (Machine Object) file from the theme POT file. The only file we are able to edit is the PO file. In the PO file, we are saving both English and the translations for this phrases. All translations you created are added there. Saving the changes there will also update the MO file that is used by the theme. Copy the estato_theme.pot file from /wp-content/themes/estato-theme/language/. Paste it on the desktop of your computer. Using the Poedit application, open the PO file that is on the desktop. The PO file will be opened by Poedit application. Click on the “Create new translation” button to start creating your translation. You will be ask what language to translate the file into, choose the language as to what you need. You will see at the Poedit application that at the left side are the Source Text (English words) and at the right side are the Translations. When you click on a word from the source text, at the very right side you will see Translation Suggestions for the word that was clicked. Click on the best of the suggested translations of the word. The suggested translation will show at the Translations side. Click on a word from the source text one by one and translate. Once done translating the words on the Source text, save the file. When saving a file, “ct_theme-” should be added to the default file name. Once saved, it will create a PO and MO file. Copy the PO and MO file to the WordPress language directory located at /wp-content/languages/themes/. In your WP, activate estato theme. Once activated, navigate your dashboard to Settings > General. You will see the General Settings of your site. To activate the translation, look for the Site Language and select the one that you like. After selecting the site language, click the Save Changes button and a loading icon will show. Once the loading icon disappear, the translation should be done. For more information on how to translate a theme using Poedit, click this link. 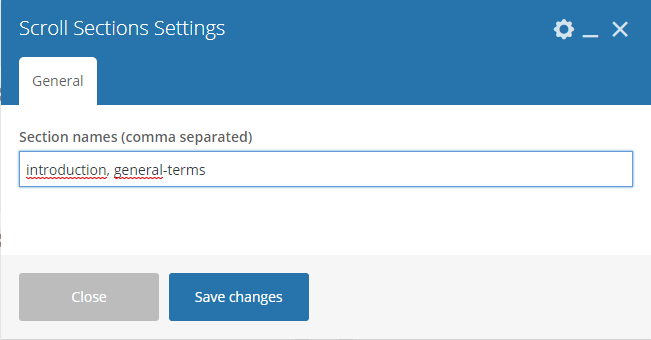 WordPress can change the language of the words that are found in the PO and MO files located in the language directory. If the words are not found in the PO and MO files, it will stay the same and won’t be translated. To change WordPress language, navigate your WP Dashboard to Settings > General. You will be directed to the General Settings page. In this page, you have options to change the format of the time, date, email, tagline, etc,. To change the language, look for Site Language. Change the language to what you would like, then click Save Changes to save and a loading icon will show. Once the loading icon is gone, WP should have changed its language. 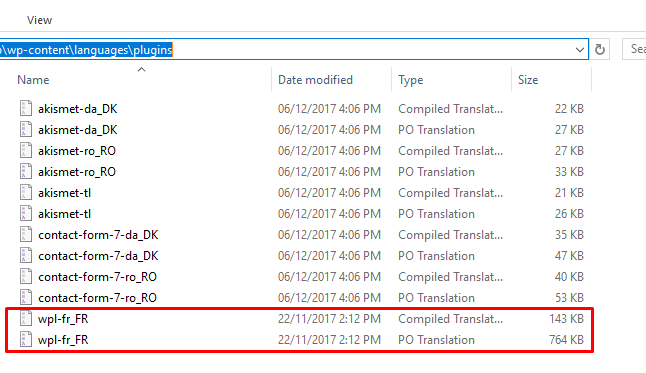 WPL already have language files in its folder. It can be found on this path: /wp-content/plugins/real-estate-listing-realtyna-wpl/languages. You can find the PO and MO files of the available languages that WPL have provided. To translate WPL in WordPress, copy the PO and MO file of the language you would like to use. Then Paste the file in the WP language folder, path: /wp-content/languages/plugins. To active the language translation, follow Translate using WordPress Settings tutorial. If the language you would want to translate your WPL is not found in the WPL language folder, you can make a new PO and MO file using Poedit. Step 1 – Install Poedit software on your computer. Step 2 – Copy a PO file of the default language used by WPL (e.i. wpl-en_US.po), and rename it. Step 3 – Using the Poedit software, open the renamed PO file and then translate the strings. Step 4 – Once done translating the strings, save the file. Once saved, it will create a PO and MO file. Step 5 – Copy the new PO and MO file to the WordPress language directory, then change the language of WP to activate.